Rev. RICK REED is senior pastor at the Metropolitan Bible Church in Ottawa. How are we to express our thanks? 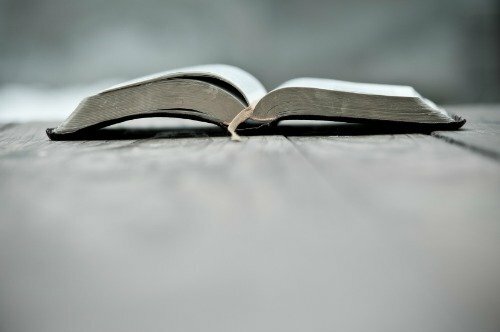 The Bible points to three big ways. We give thanks to God in our prayers (Ephesians 1:16). We sing our thanks in our songs (Ephesians 5:19-20). We also demonstrate our thanks by how we live (Colossians 3:17). But there is a deeper kind of “how” question when it comes to thanksgiving. How do we express thanks to God when we don’t feel thankful? Sure, thanksgiving comes easy when things are going well. But what about the times we seem stuck between hard times and heart-breaks? How can we authentically express thanks in those times? The Bible’s answer is that we express our thanks by faith and through Christ. By faith, we give thanks that God is good even when life isn’t. By faith, we give thanks as an act of defiance against the doubt and darkness that shadows our hearts. By faith, we offer our thanksgiving, believing God will show His faithfulness in ways we can’t yet see. And the reason we can give thanks by faith is because we bring our thanks to God “through Jesus Christ our Lord” (Romans 7:25). It’s through Jesus that we’ve come to know God’s love. It’s through Jesus’ death and resurrection that we’ve can be forgiven of our sins and brought back to God. When we offer our thanks through Jesus we are reminded of God’s unfailing love. Through Jesus we have good reason to give thanks at all times. Thanksgiving may only last a weekend, but for all who’ve experienced new life through Christ, giving thanks is to last a life-time.